Gabon is noted for its efforts to preserve the natural environment with what may be the largest area of nature parks in the world. In Gabon, the forest covers 80% of the territory. In the heart of Central Africa, Gabon is home to the second largest rainforest in the world, it is one of the last great untouched wilderness areas. 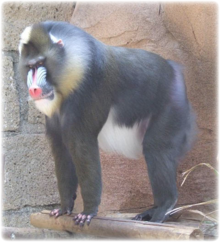 There are many rare zoological species, such as the Mandrill, Sun-Tailed Monkey, Forest Elephant, and Bongo, not to mention hundreds of rare, sometimes unknown, plants said to have survived from the ice age. The elephant population is cited to be 64,000+. Loango National Park is a national park in western Gabon. It protects diverse coastal habitat, including part of Iguela Lagoon, the only significant example of a typical western African lagoon system that is protected within a national park. 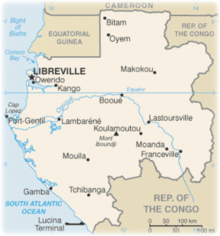 Lope National Park is a national park in central Gabon. Although the terrain is mostly rainforest, the north the park contains the last remnants of grass savannas created in Central Africa during the last Ice Age, 15,000 years ago. While visiting Gabon, don't miss out on taking a Pirogue Tour along the Mpivie River. A pirogue is a small, flat-bottomed boat. These boats are not usually intended for overnight travel but are light and small enough to be easily taken onto land. The design also allows the pirogue to move through very shallow water and be easily turned over to drain any water that may get into the boat.